Some days you just need a yummy warm dessert. 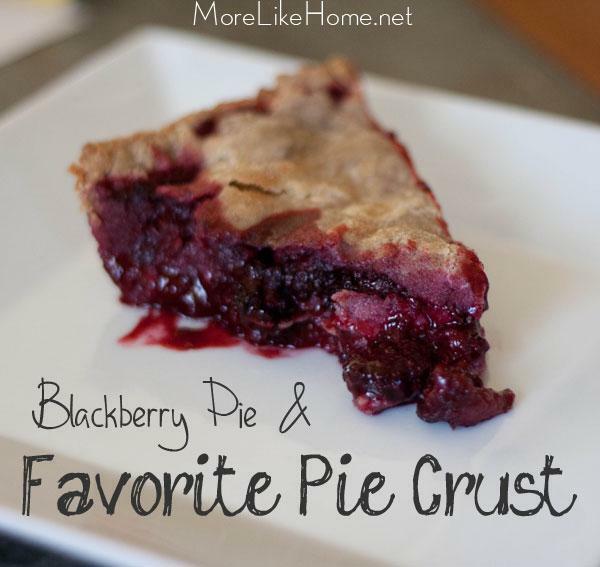 Blackberry pie has been one of my favorites so I thought I'd share my favorite pie crust recipe in case you would like a slice! Granted I'm no pie expert, but I clipped this recipe from a magazine a few years ago and it has been a favorite ever since. This recipe makes three single pie crusts, but I usually divide it in half and roll it a little thinner to get two double crusts. You can wrap the second crust in saran wrap and a ziploc to store it in the fridge for three days, or in the freezer for a month (just thaw it overnight in the refrigerator before using it).